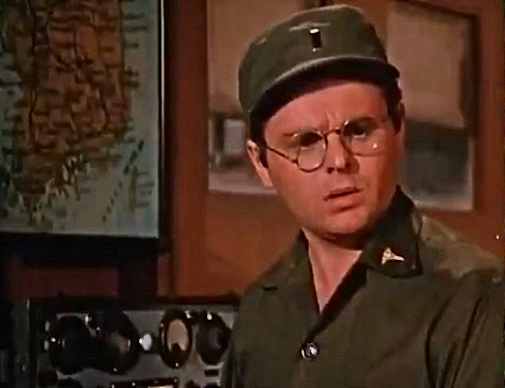 Anyone under 40 will not remember, and certainly find no modern relevance in Radar O’Reilly, played by Gary Burghoff in the M.A.S.H. TV series, 1972-1983. He was a 20-something corporal in an Army surgical hospital unit in the Korean War. It was a comedy. Everyone else in the camp was older than Radar, who was straight off the farm in Iowa, a true innocent. A comedy that hasn’t weathered all that well with age, MASH re-runs are still available on some cable networks, and YouTube, but after 35 years, Radar is the only character that has maintained his meaning in world that has otherwise passed that kind of story-telling by. It was Radar who coined the term “adultery” to refer to mature people, grown up’s, who probably in his world, were still in their 30s’, such as the surgeons and an old crusty camp commander who appeared to be over 60. He looked up to them and learned from them. People had to grow more quickly in those days, and can still be found among the military veteran community, which is why we should treat them better and listen to them more intently. So, I wonder if Radar’s adult-equation would work out so well today? You see, JFK had only been dead 7 years when the film version of MASH debuted. And JFK, the president of the United States, had been only 46 when he was shot, and 43 when he was elected.